This one was three, maybe four trucks. Can't remember where they were going but one went off on it's own towards Russia I think and rejoind later. I'm sure the last bit of commentary was 'The boss was so pleased to see him he sent him straight back the next day'. 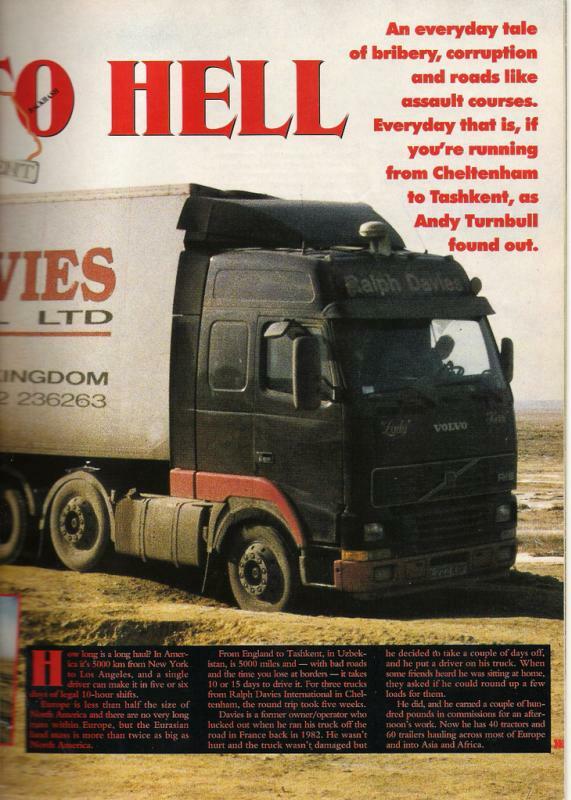 Also (but unconnected) seem to remember a story or similar something about Ralph Davis of Cheltenham sending trucks to China. Did I dream any of this or just cracking up??? In the sixties Asian Transport (later renamed Astran) used to run 3 axle Scanias and drags to the middle east and Pakistan. Pretty adventurous for those days and probably impossible now in the current state of political upheaval. hair bear wrote: Well I don't think so anyway. 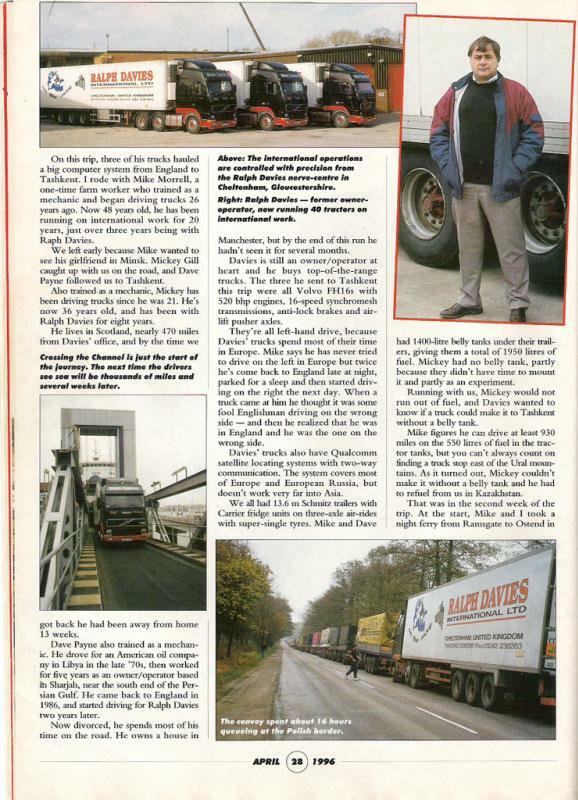 There was one on ITV many moons ago called 'Truckers' about a driver from Davies Turner taking a DAF 95 to Istanbul and back......one of the closing sentences in it was "the boss was so pleased with him he sent him back out again". Ah, now you've said that I remember the Ralph Davis job being banking goods. 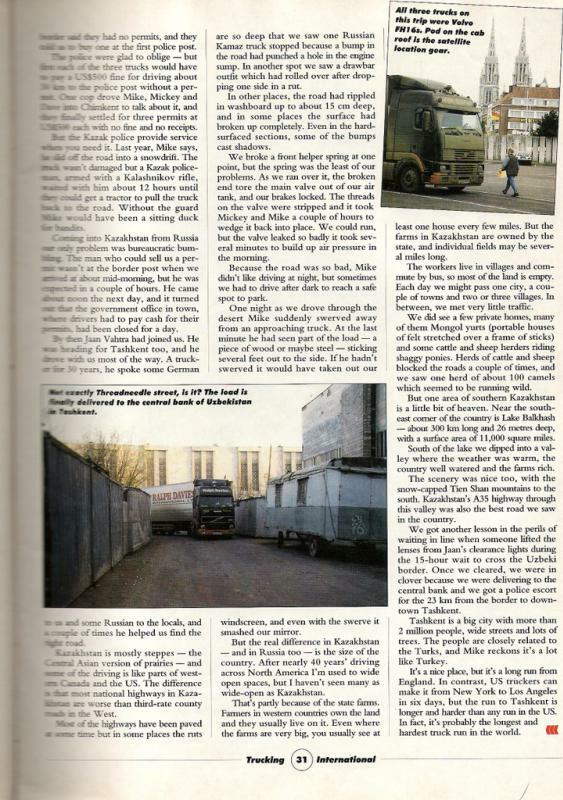 I also recall references to 'Londre Camp' as a sort of staging post, and 'Marlborough Country' where the only way through red tape was to offer cigarettes. Wasn't the speeding ticket virtually free? Thanks for the replies you have saved a little of what's left of my sanity! hair bear wrote: Ah, now you've said that I remember the Ralph Davis job being banking goods. 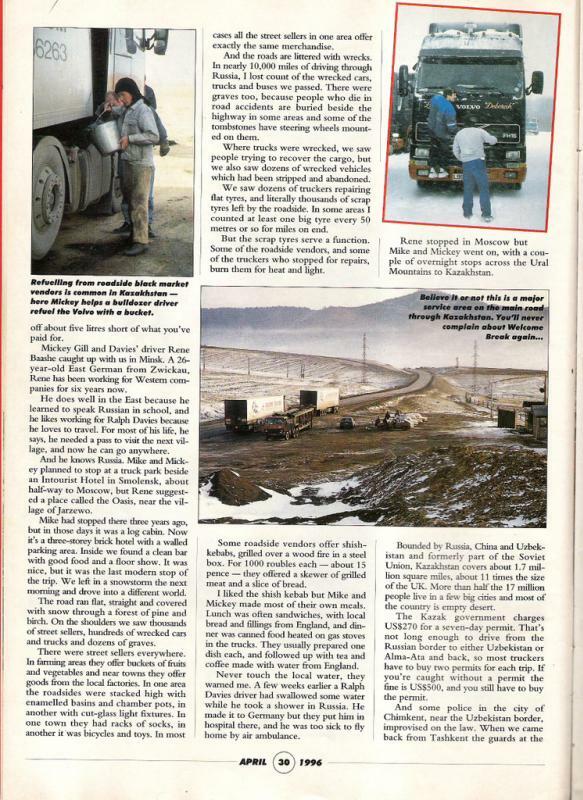 I have a copy of the Truckers/Istanbul trip somewhere on CD, I can post it to you and you are welcome to take a copy if you want, then send it back. 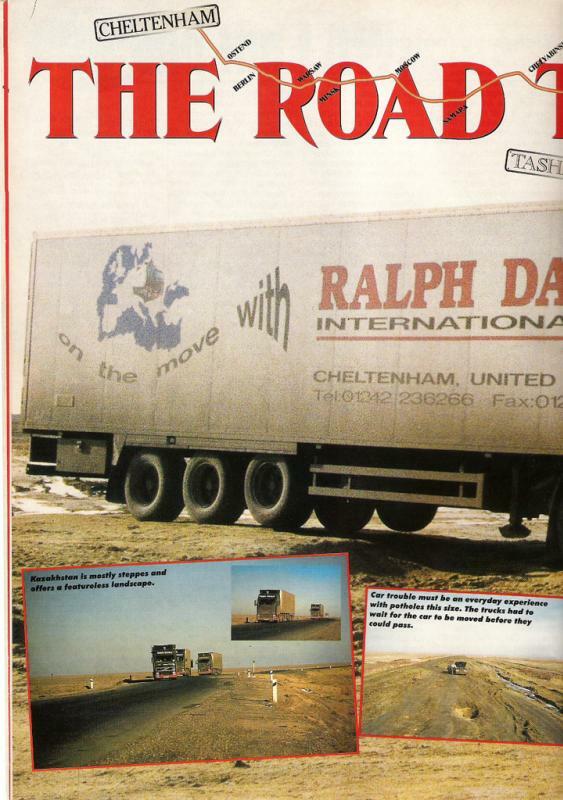 The Ralph Davies info you'll probably find on Trucknet, there was an entire thread (or 3) dedicated to that firm. 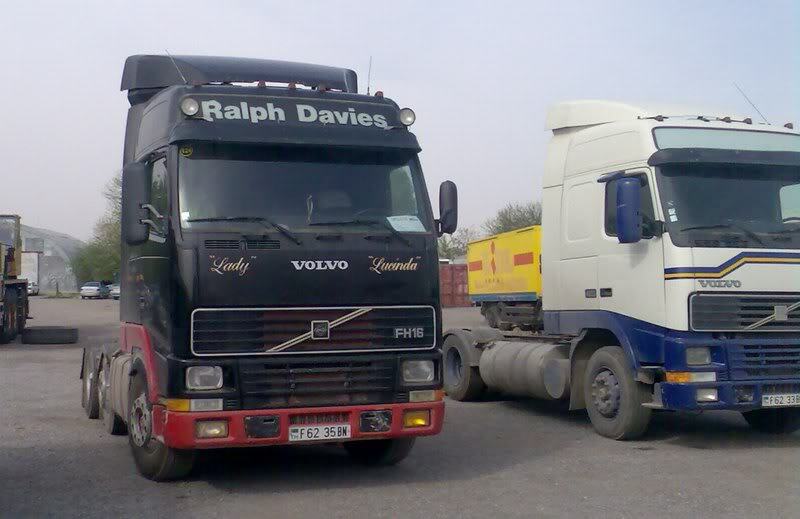 Just as an aside, a few years back when i was in Turkmenistan I swung in to a parking area and saw this........as you can see its re-registered on local plates. Not for the first time have you taken my somewhat scattered bits of memory and put it together into something sensible! I need to read that article when I get a chance. Thanks for the offer of the CD, I'll pass just at the moment but will take you up on the offer at a later date. 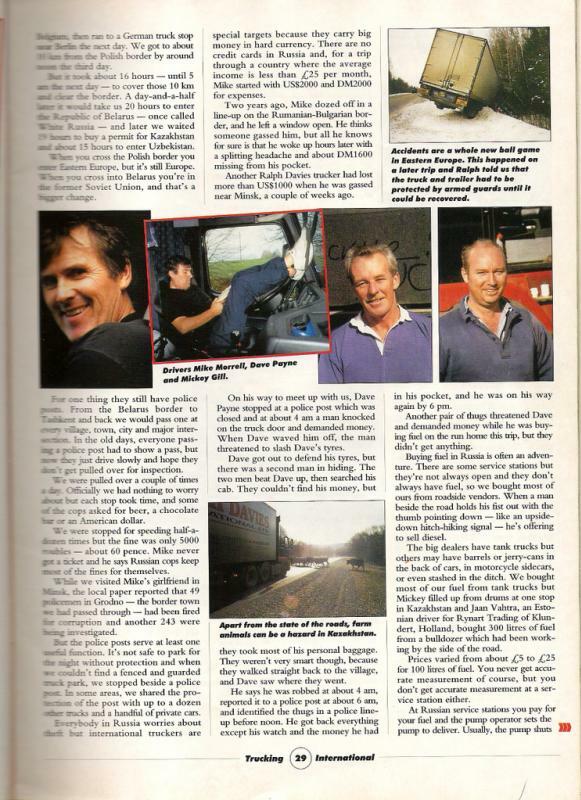 Truckers the TV series - AARRGGHH!!! vaguely remember it. wasn't there one tool dressed up like a cowboy and driving a yankee tractor unit?....and some ERFs with Irish/celtic writing on it?